Being super busy with taxes today meant I got out to feed the animals a little later than usual. As I was feeding the quail I kept hearing a little peeping sound near the older ducklings. I kept looking to see which one was peeping but couldn’t see any lips moving, ha. Was it the quail? It was a peep that was a little out of place. 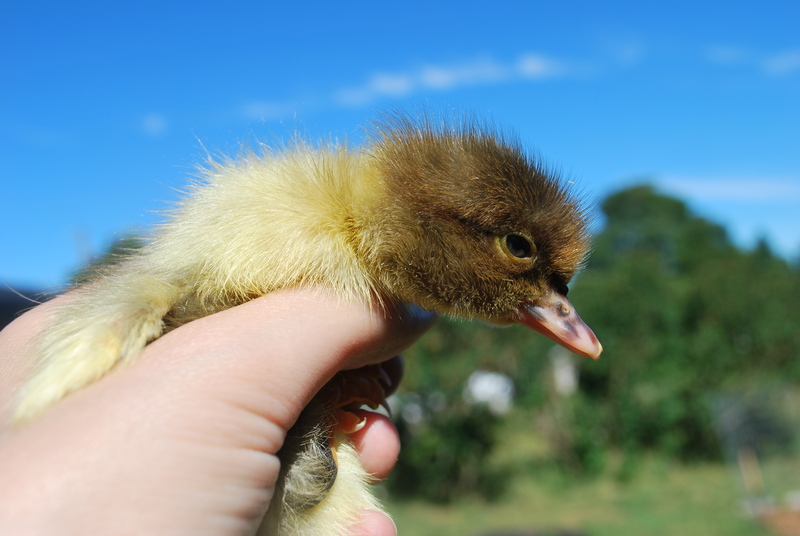 Suddenly I noticed a little brown ball of fluff beside the duck pool. BABIES! I grabbed the little guy and put him in a safe spot. 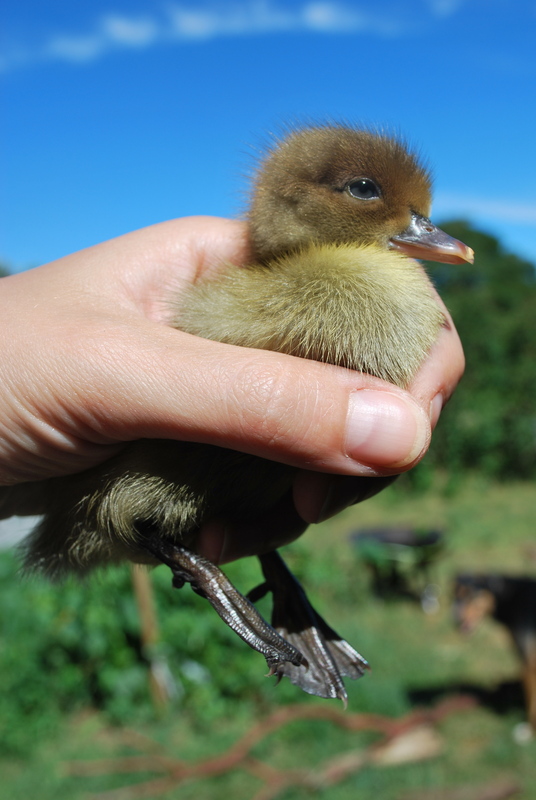 When I looked into the nestbox, I saw two more ducklings in with mama, so I put him in too. Now I just have to figure out how to feed them chick starter without everyone else eating it all first! 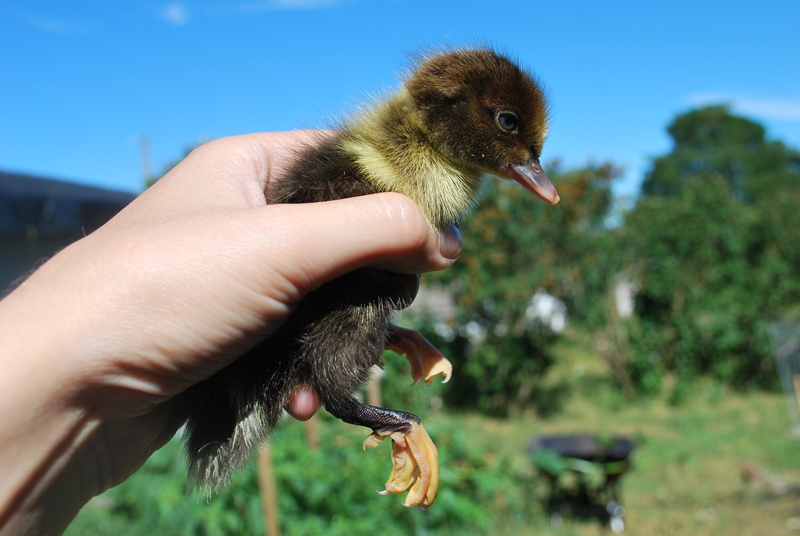 This entry was posted in muscovy ducks and tagged day old ducklings, homesteading, meat ducks, muscovy ducklings. Bookmark the permalink.